Our mission is to find better treatments and a cure for Fanconi anemia and to provide education and support services to affected families worldwide. The Fanconi Anemia Research Fund (FARF) is the world leader in advancing research for better treatments and a cure for Fanconi anemia. Founded in 1989 by parents Lynn and David Frohnmayer, FARF has supported 232 grants to 74 institutions and 152 investigators worldwide. Over the last 29 years, our outstanding donors have enabled us to fund $23 million in research grants. Oregon parents Lynn and David Frohnmayer learn their two daughters, Kirsten and Katie, have Fanconi anemia (FA), a rare genetic disorder that leads to bone marrow failure, leukemia, and cancer. 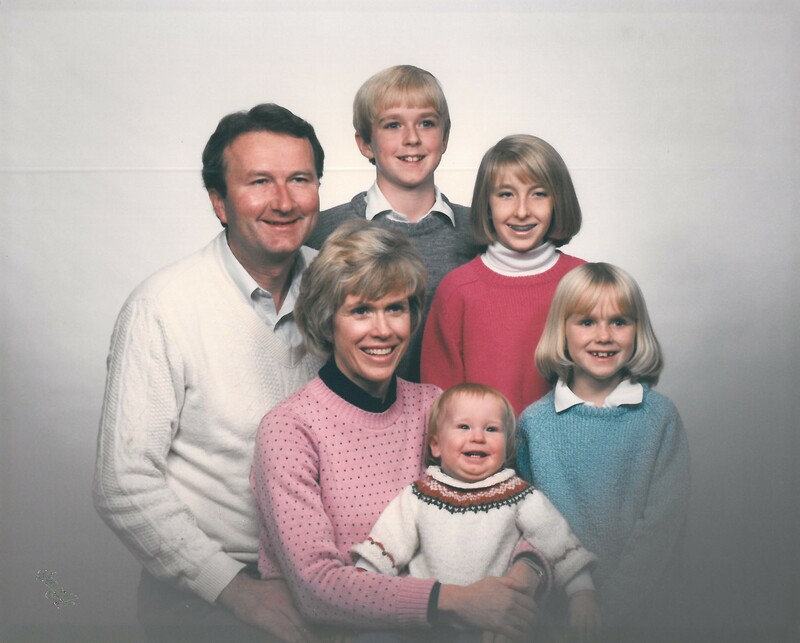 They would later find out that their third daughter, Amy, also has the disease. The Frohnmayers learn that patients with FA rarely live to adulthood and that there is no cure for this illness. They also discover that the disease is scarcely known in the medical community. Feeling anxious, frightened and lonely, the Frohnmayers follow the advice of a researcher at The Rockefeller University and reach out to other FA families to create a support group. Nineteen families respond with interest. Lynn and Dave begin writing the FA Family Newsletter to share information they glean from scientists with other families. A scientist at Rockefeller asks the Frohnmayers to raise $50,000 for research. They promptly write to family, friends, and acquaintances to solicit donations to The Rockefeller University. The unofficial ‘research fund’ is born. A year later, three institutions approach the Frohnmayers to raise money for their investigations. Lynn and Dave again write to their friends and ask them to make checks out to “Fanconi Anemia Research Fund”. However, the institutions can’t cash them as written! 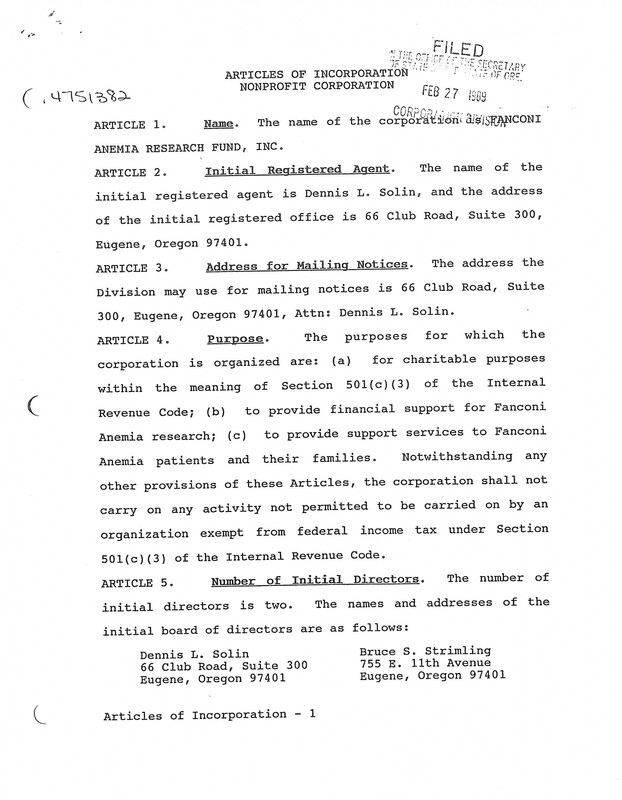 The Frohnmayers quickly decide to form a 501(c)(3) charitable corporation, name it the Fanconi Anemia Research Fund (FARF), form a board of directors, and establish articles of incorporation. They cash the checks, send each of the researchers $30,000, and the FA Research Fund is launched! One of the first steps of the newly formed FA Research Fund is to bring researchers together for a brainstorming session. The Frohnmayers invite scientists who have published about FA or are recommended by those scientists. Eighteen researchers are asked to “bring their brains” to Portland, Ore., where, together with the Frohnmayers and FARF board, they draft what would become FARF’s guiding principles. These same principles continue to define the Fund’s work today: encourage scientific collaboration and a multidisciplinary approach, hold annual scientific symposia, identify and support the best science possible, and fund researchers who would go on to leverage FARF’s start-up grants into much larger grants from their institutions or government entities. The group endorses a five-year Gene Identification Project with the goal of identifying one or more genes responsible for this disorder. As a scientific community begins to take shape, the Frohnmayers also focus on family engagement as a central strategy. 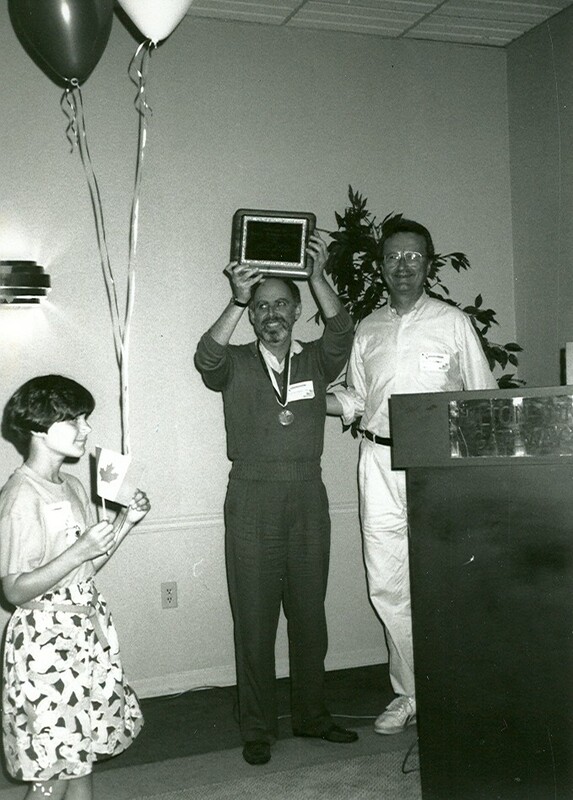 Although at first skeptical that families would be interested or able to gather together, in 1991 more than 100 FA parents and children attend the very first “FA Family Symposium” in Washington, D.C. This gathering marks the beginning of what would become a cornerstone of the FA community: an annual meeting of individuals with FA, their families, and physicians and researchers, with the purpose of educating and supporting families, forming connections and improving and extending the lives of those affected by FA. One of the first efforts of FARF is to identify the FA gene(s). Gene discovery enables scientists to study and begin to understand the function of the protein(s) encoded by FA gene(s), which might suggest how best to treat the disorder. 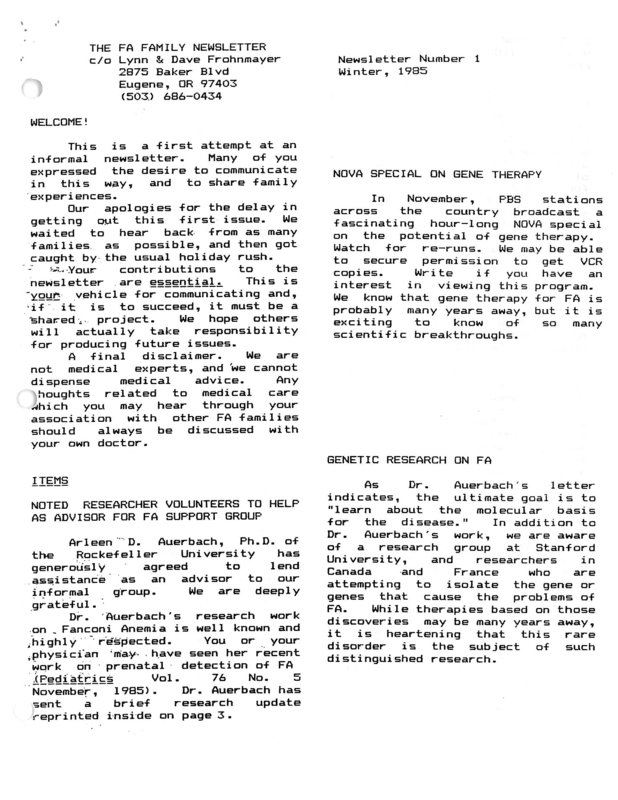 In 1992, Manuel Buchwald and his team at the Hospital for Sick Children in Toronto, Canada, discover the first FA gene. This is a major breakthrough for FA science and paves the way for many more research discoveries in the decades to follow! 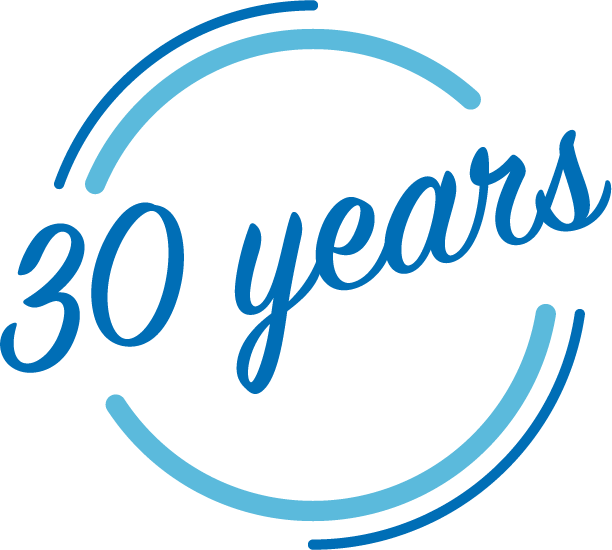 FARF surges forward in the 90s, funding new research grants each year and expanding family support services. Annual science and family meetings result in the growth of the FA community, consisting of researchers, clinicians, people with FA and their families, volunteers and staff. Educational resources and publications like the patient handbook and family & scientific newsletters keep the community informed and engaged. 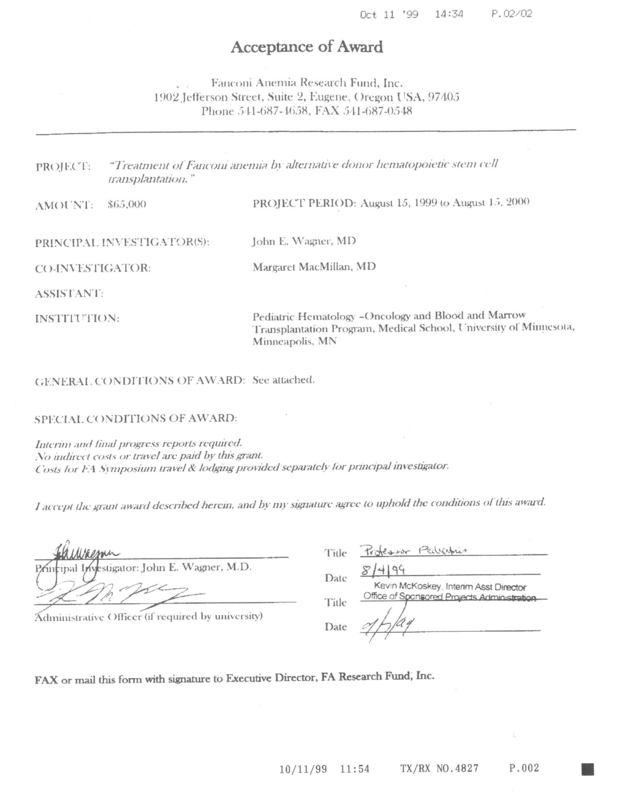 In 1999, FARF publishes the first edition of Fanconi Anemia: Standards for Clinical Care. FARF awards the University of Minnesota a grant to determine if one drug, fludarabine, can improve bone marrow transplant outcomes. Almost immediately, success rates go from 20% to 60%. Today, at any one of the three FA comprehensive care centers, more than 90% of young patients survive transplant! In June 2002, researchers discover that BRCA2, one of the breast cancer genes, is also an FA gene. This discovery supports the belief that the primary defect in FA is the inability to repair DNA damage, and is consistent with the finding that those with FA are at far greater risk for cancer. This cancer connection puts FA on the radar of oncologists around the world. Throughout the 2000s, FARF continues to extend its outreach, funding several research projects each year, welcoming more scientists and families to regular meetings, and publishing newsletters and family directories. 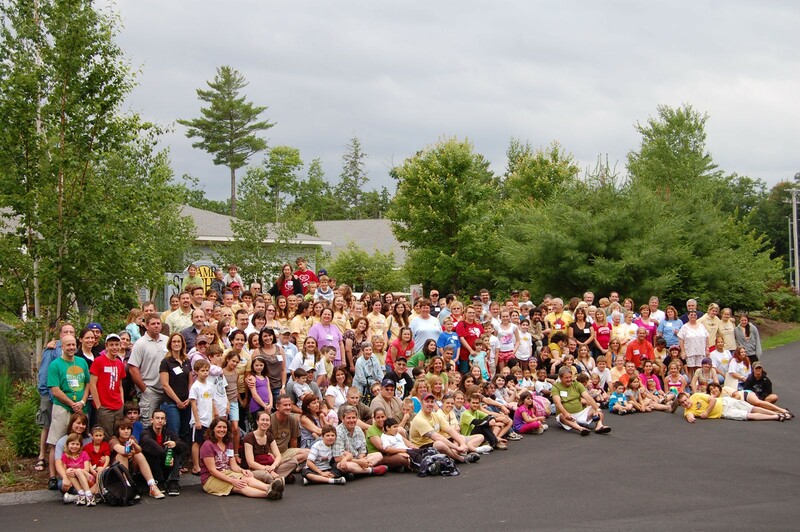 During this decade FARF sponsors seven regional family meetings in addition to the annual FA Family Meeting at Camp Sunshine. 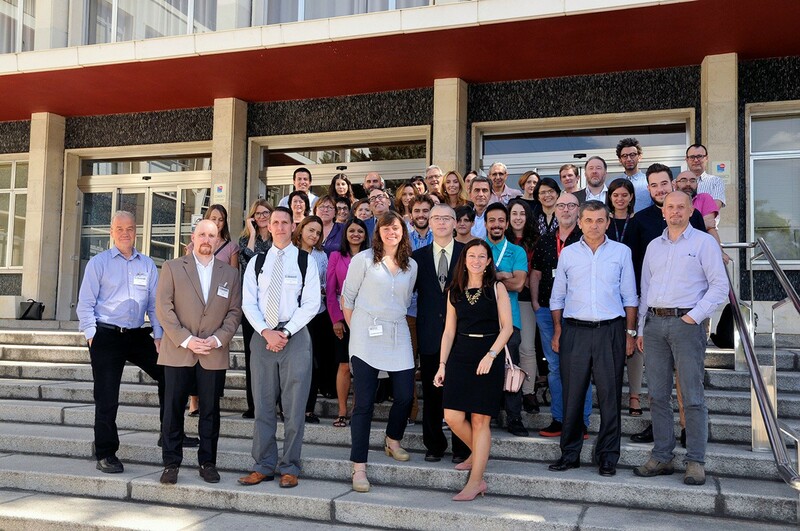 In addition to the annual Scientific Symposium, FARF holds nine focused workshops on topics such as bone marrow transplantation, small molecules as possible therapeutics, and squamous cell carcinoma. In 2003, FARF publishes the second edition of Fanconi Anemia: Standards for Clinical Care. In 2009, the third edition of Fanconi Anemia: Guidelines for Diagnosis and Management is published and distributed around the world. In 2014, this instrumental resource is updated once again and has now been translated into French, Italian and Korean. Over the years, our dedicated scientists continue to discover new FA genes. As of 2017, researchers have identified 22 FA genes, helping us better understand the function of FA proteins. 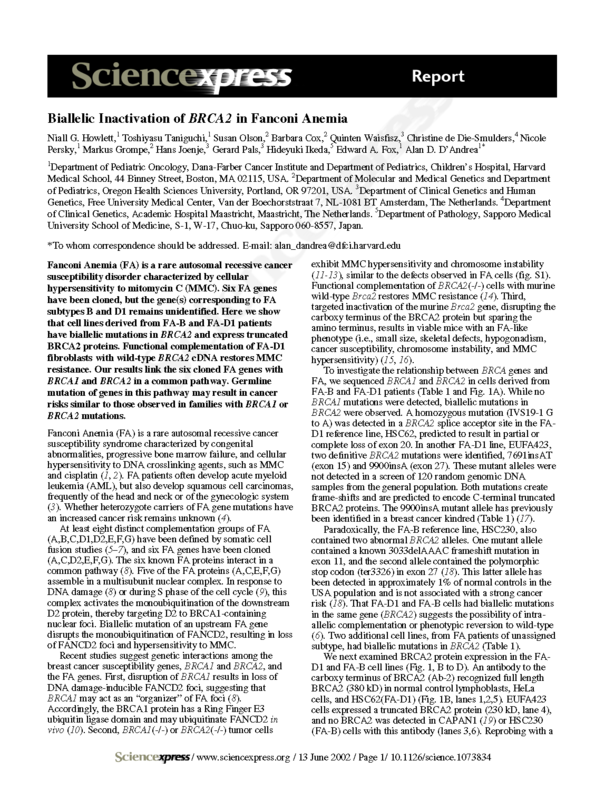 In addition to the discovery that BRCA2 is an FA gene, scientists have established that four additional FA genes are also breast cancer susceptibility genes: BRCA1; FANCJ/BRIP1; FANCN/PALB2 and FANCO/RAD51C. Beginning in 2010, FARF enters a partnership with Fanconi Hope, United Kingdom, to expedite gene therapy trials through the creation of the International FA Gene Therapy Working Group. This group meets annually to share expertise and initiate gene therapy clinical trials. Two trials (Seattle and Madrid) have accrued patients and continue to improve protocols. 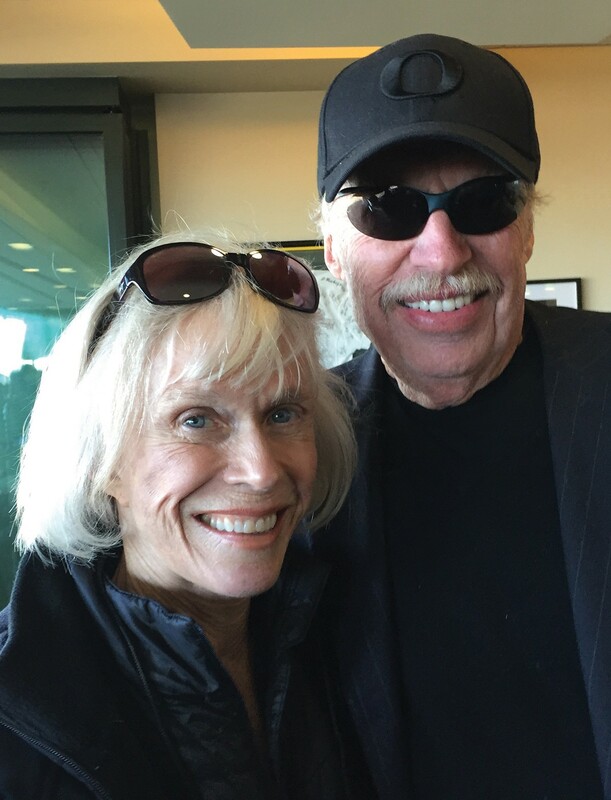 Longtime FARF supporters Phil and Penny Knight pledge $10 million to advance research over the next 10 years. Their incredible gift focuses on bold initiatives to prevent and cure the cancers that affect the adult FA population. After years dedicated to gene identification, improving bone marrow transplantation, and uncovering connections to breast and other cancers, FA scientists are now poised to create less toxic therapies and improve and extend lives. The Council to Focus and Accelerate Research (CFAR) is created in 2016 to bring FA research and treatments to the next level. CFAR focuses primarily on the prevention and early detection of cancer. The mission is to improve the clinical outcomes of people with FA and to do so as fast as possible. FARF continues to advance FA research and provide support to families. Gene therapy trials are now open on two continents and two new clinical trials were approved in early 2018, one of metformin (Dana Farber Cancer Research Center) and the other of quercetin (Cincinnati Children’s Hospital). The incredible progress achieved over these years can be attributed to the hard work, dedication, and commitment of our FA families, researchers, staff and volunteers.